The Battle Hall somehow sounds like it should be doing a lot. This is a war game after all. Well, keep your aspirations in check. The battle hall is pretty much a waste of a building. 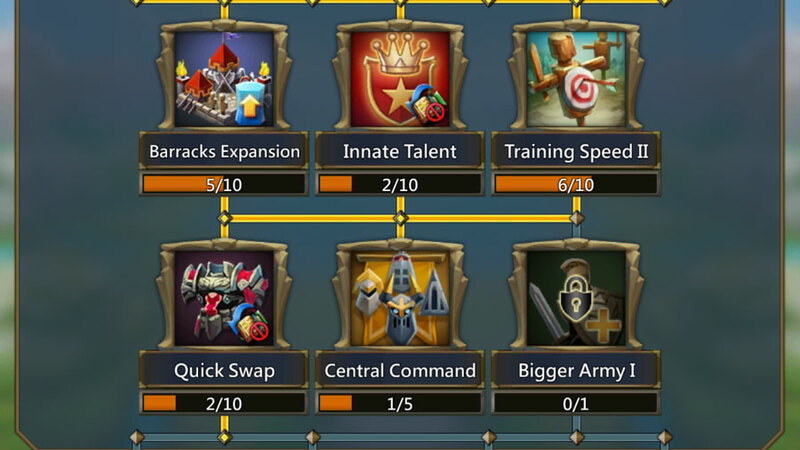 IGG could’ve made the entire Battle Hall one or two (maximum three) Research Buttons in the Academy. What does the Battle Hall do? Anyways. In spite of my earlier rant, here goes a rundown of what the Battle Hall does. Prepare your mind to absorb the depth of the upcoming wisdom. 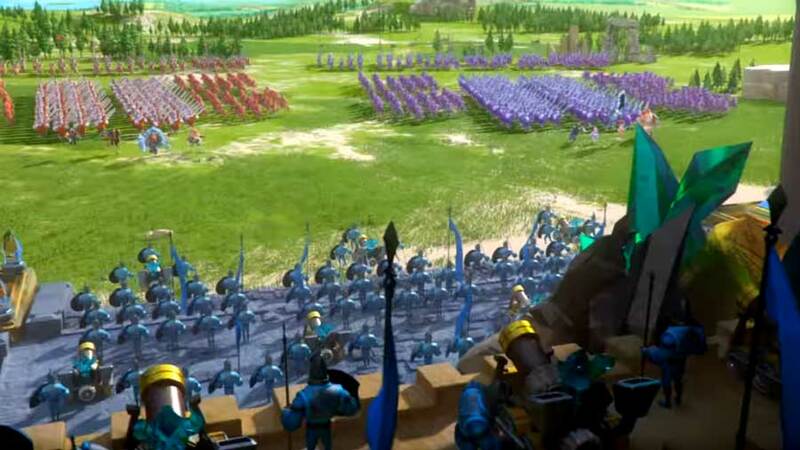 The Battle Hall enables you to increase the maximum troops that you can send when rallying attacking. Oh, wait. It also has two links to the “Rally Battle Section” and also a place to edit your battalions. Yep. Now I’ve listed everything that this building does. Would you like to see all this information in bullet-point form? Well, too bad. No! In short, the coalition rally troop size is actually really important, and you should maximize this building as soon as you can. Should Lord’s Mobile have dedicated an entire building to this upgrade? No! A worthwhile perk that comes along with the Battle Hall is the 10% Coalition Army Attack Boost when you reach level 25. If you know what a rally is, skip this section. For the dumb and/or slow, keep reading. Smaller players will never be able to effectively fight larger players. A 200,000 troop march from a 30-million might castle against a 150-million castle is like a fly going against a crocodile. There is nothing he’ll be able to do! Enter the rally! 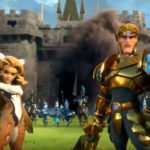 If a guild all put their best soldiers together and march against the 150-million might castle, the castle will fall as fast as a politician who makes a bad joke. Rallies aren’t just used against the enemy castles. They can also be used against Darknests, Forts, and Bases. The Battle Hall is a fairly simple building to upgrade. You will need resources like all buildings and researches, and you will also need War Tomes. War Tomes can be purchased using gems or can be won during Guild Fest. I recommend saving up your gems and using them to buy the war tomes. Especially if the Battle Hall is stopping you from upgrading something else (like the level 25 Academy for example). How many gems do you need? Easy. You will need 200,000 gems for the War Tomes and another 2,400 for the War Hammer when you reach level 25. That’s a total of 202,400 gems! This price is only assuming that you buy all the War Tomes in bulk. 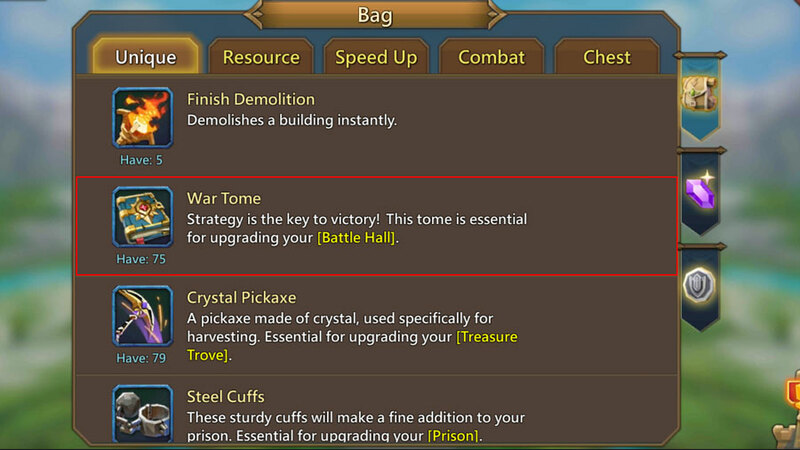 The Battle Hall upgrades will also be important if you want to upgrade the Prison and the Altar. 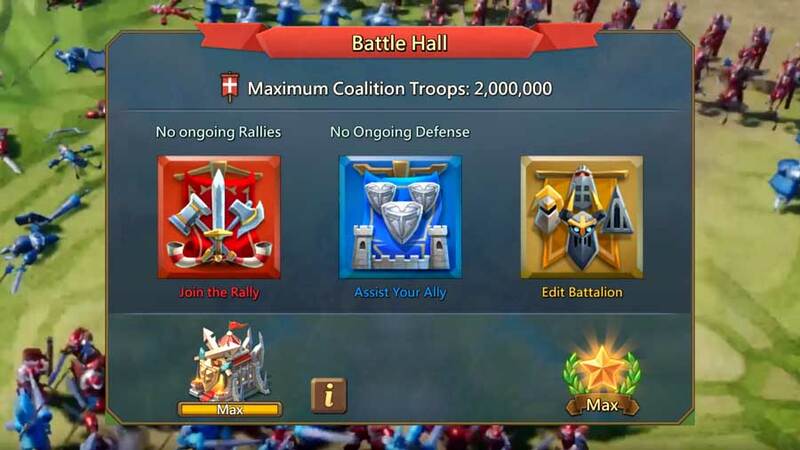 The Maximum Coalition Troop Amount (aka rally max) is critical to the success of any given rally. 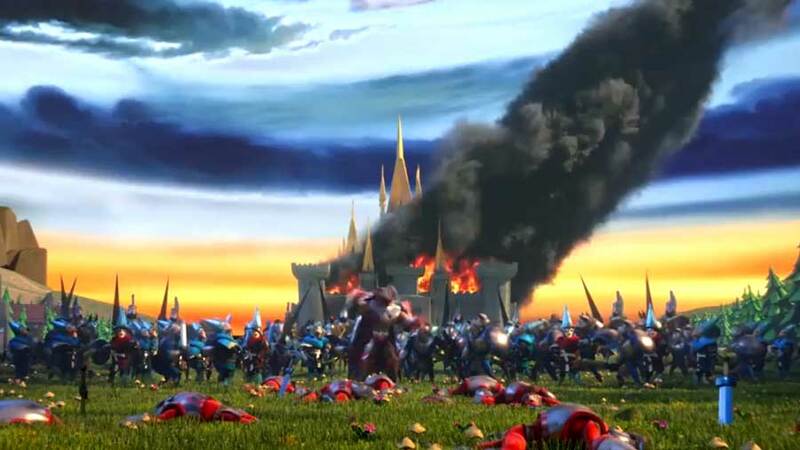 Until Battle Hall Level 7, you won’t even be to send more than the 200,000 maximum of a normal troop march. When you reach level 25, you will be able to rally 2,000,000 troops into a single rally. Adding heroes to the rally will enable you to add more troops, the maximum will move up to enable an additional 2,000 troops. There are a few techniques that you can use to raise the maximum coalition troop amount. To the best of my knowledge, there isn’t any way to increase the rally size above 2,000,00 (in addition to the amount the rally leader starts off with). If anyone knows something I missed, please drop it into the comments. I’m very interested (and interesting). This feature is for more advanced players. It is critical when trying to orchestrate quick and/or complicated attacks. This feature will need to be unlocked from the academy researches. Each subsequent battalion will need to be unlocked as well. The troop division and assigned leaders are all part of the predetermined battalion.